IndustryWorks Pictures is excited to announce that Theodore Bezaire’s Sophomore Indie Comedy THE BIRDER will be screening in Los Angeles at the LA Comedy Festival on May 2nd at the Let Live Theatre at 7:00pm. This funny feature film is starring Tom Cavanagh (Ed, Scrubs), Mark Rendall (30 Days of Night), Jamie Spilchuk (Hard Rock Medical), Tommie-Amber Pirie (What If), Academy Award Nominee Graham Greene (Dances With Wolves, The Green Mile) and Hollywood funny man Fred Willard (Anchorman, Best in Show). The film makes its U.S. Premiere at the LA Comedy Festival. Co-written by Theodore Bezaire & Mike Stasko and directed by Bezaire, THE BIRDER is a revenge-comedy set inside the world of bird watching. 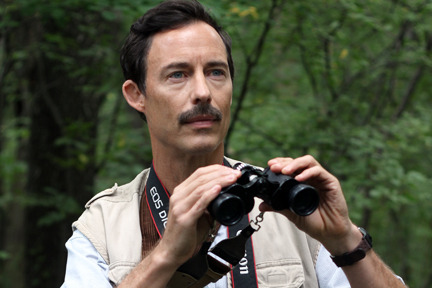 It’s the story of Ron Spencer (Cavanagh), a mild mannered birder who seeks revenge on a younger rival (Spilchuk) after losing the highly coveted position of Head of Ornithology at the National Park. 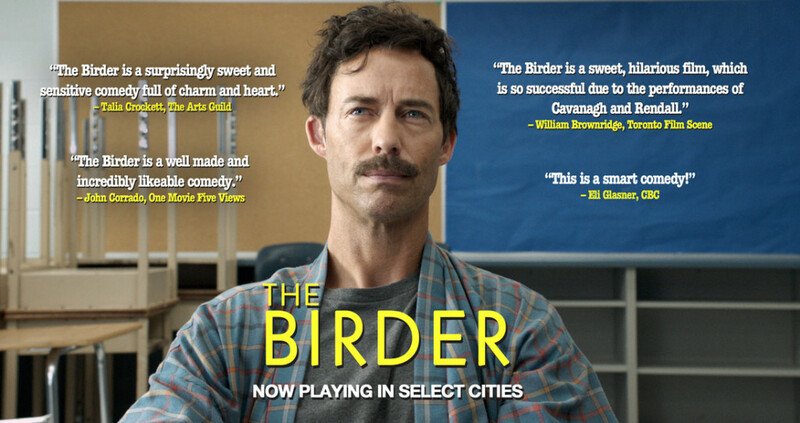 “THE BIRDER is a wonderful film and an excellent comedy. The film is a perfect combination of laugh out loud moments and a heartwarming story that the whole family can enjoy.” says Caterina Scrivano, VP Marketing, IndustryWorks Pictures. “We’re very excited to partner with IndustryWorks and see our film take flight!” adds producer Gerry Lattmann of The Dot Film Company. IndustryWorks plans a market release at The Marché Du Film in Cannes, France this May and will start its release schedule later this year. About The Dot Film Company – The Dot Film Company develops and produces content for Film and Television. They have worked in association with some of Canada’s most reputable organizations, such as Telefilm Canada, CMPA, TVOntario, Corus Entertainment, VideoFACT, BravoFACT! and the Canadian Broadcasting Corporation. About IndustryWorks Pictures – IndustryWorks is a fully integrated company that distributes and produces feature films, television and new media content worldwide. IndustryWorks Pictures sets itself apart by having the keen sense of recognizing potential in projects for production and its primary function is to release unique and marketable content to the market place. IndustryWorks’ mandate is to release films that appeal to the mainstream and niche audiences. The company has several in-house projects in development on an ongoing basis. IndustryWorks distributes its content to all ancillary media outlets, including box office, VOD, SVOD, airlines, Internet and digital platforms, retail and rental outlets. This entry was posted in IndustryWorks Pictures and tagged academy award, actor, airlines, arts, box office, Canada, Cannes, Caterina Scrivano, comedy, Digital, director, entertainment, film, France, Fred Willard, Gerry Lattmann, Graham Greene, Hollywood, indie, IndustryWorks, internet, Jamie Spilchuk, LA, LA Comedy Fest, Lesley Diana, Let Live Theatre, Mark Rendall, Media, Mike Stasko, new, Nominee, Pictures, PR, premiere, producer, publicity, Raindance, retail, Slate, televison, The Birder, The Dot Film Company, The Marché Du Film, The Promotion People, Theodore Bezaire, Tom Cavanagh, Tommie-Amber Pirie, Toronto, US, Vancouver, VOD on April 29, 2014 by press.